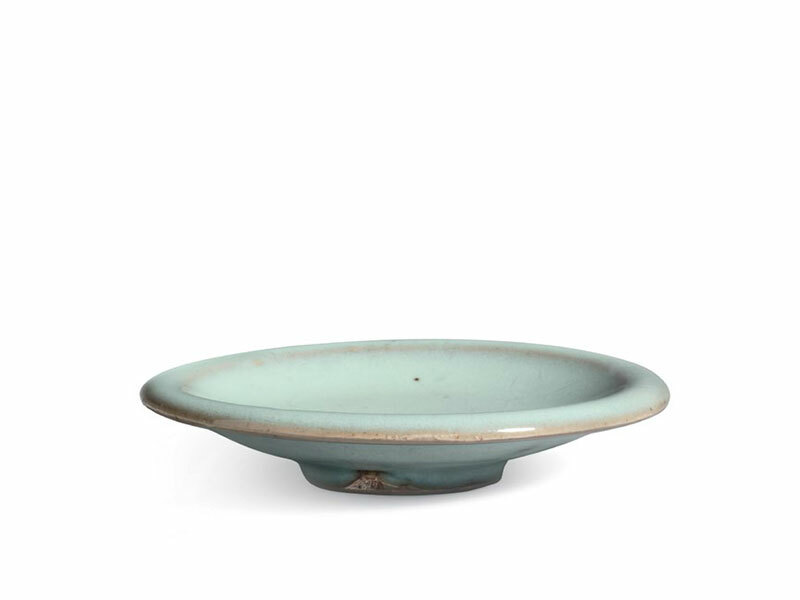 A small stoneware shallow saucer of circular form, supported on a short foot. The concave interior is gently splayed and terminates in a flared rim. The interior and the exterior of the saucer are covered in a lustrous sky-blue glaze with greyish tinge, stopping unevenly around the footring and revealing the buff stoneware body of yellowish-brown colour. 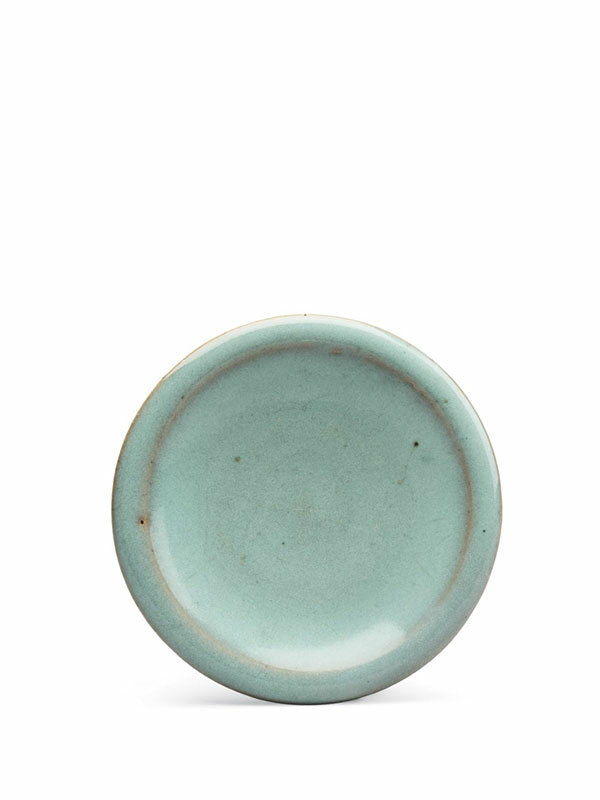 The translucent glaze is thinner around the rim, where the buff stoneware body underneath is also visible. The footrim has clusters of kiln grit adhering.